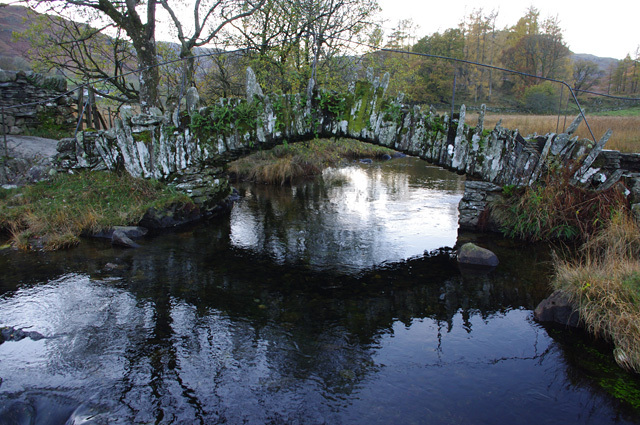 "English Heritage calls it Slaters Bridge and describes it as 17th century. This segmental arch is at the south end." Photo by Ian Taylor, 2013.